To give booth to the chances of BJP candidate in Himachal Pradesh, BJP prime ministerial candidate Narendra Modi will address three election rallies in Himachal Pradesh on April 29. 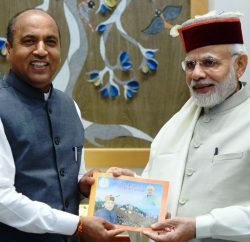 Modi’s first rally will be held in Palampur town of Kangra parliamentary on 10 AM, where he’ll seek support for senior party leader Shanta Kumar, where BJP veteran facing stiff competition from Congress candidate Chander Kumar. 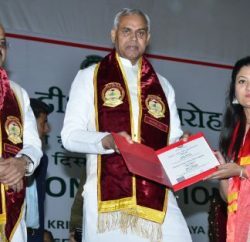 Chander Kumar had already defeated Shanta Kumar in 2003 General Election with respectable margin. Narender Modi remaining two rallies will be held in Mandi (11:30 AM) and Solan town (01:00 PM) of Shimla Parliamentary. 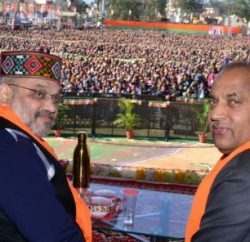 Himachal Pradesh has four Parliamentary seats and earlier on February 16, Narender Modi had addressed a public rally at Sujanpur in Hamirpur Parliamentary. Now it seems that he’s unlikely to address any rally in this segment.